So it would appear we’re gearing up for a sunny Bank Holiday Weekend. Across the pond it’s Memorial Day i.e. the start of summer, and in Edinburgh it feels like everyone got the long weekend memo. 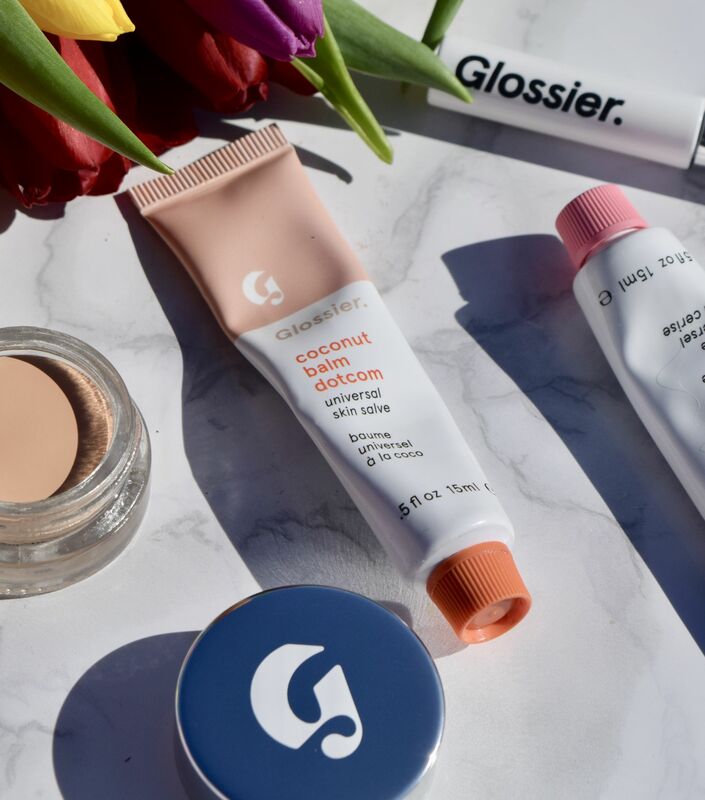 I’m not going to lie – I am feeling pretty summery myself, so in an effort to celebrate the season I dug out probably my most summer appropriate product – Glossier’s Balm Dot Com in Coconut. One of six available scents and colours (this one is clear), this is one I reach for on a daily basis. As we’ve come to expect from the brand, the packaging is spot on. The minimalist tube looks chic, as well as being functional. The balm itself is something special – slightly thicker than some of the others, it applies smoothly to lips, and the scent of coconut is fun without feeling overwhelming – it’s more sunscreen and summer than fruit. On the lips it doesn’t look greasy or shiny, instead it just imparts a subtle glow whilst providing hydration. Since it’s clear, I also use it on cuticles, dry patches and even elbows! Glossier Balm Dot Com in Coconut is priced at £10 and is available here.